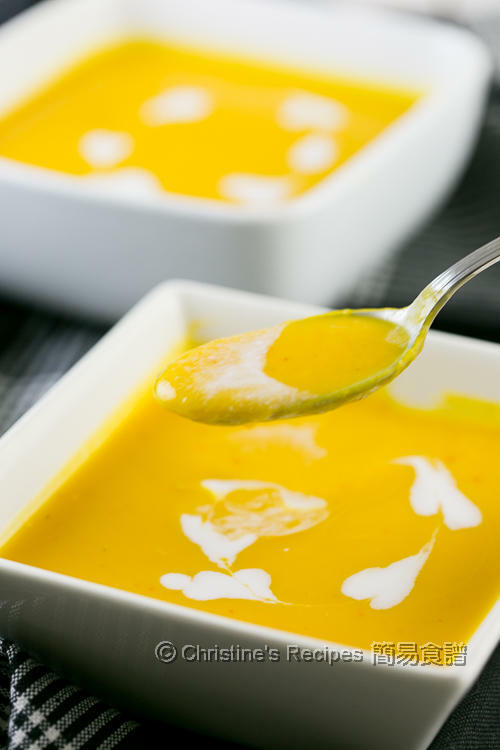 Just within half an hour, this Thai pumpkin soup can be whipped up for you to taste. The fragrance of lemongrass and coconut milk intrigued me to finish one bowl after another. I used a whole butternut pumpkin that only cost me one dollar. You won’t get this kind of quality, flavoursome soup anywhere in Brisbane restaurants, unless you make it yourself at home. Needless to say, I was still in the mood of playing with my kitchen toy, Instant Pot. You can cook it on stove though. 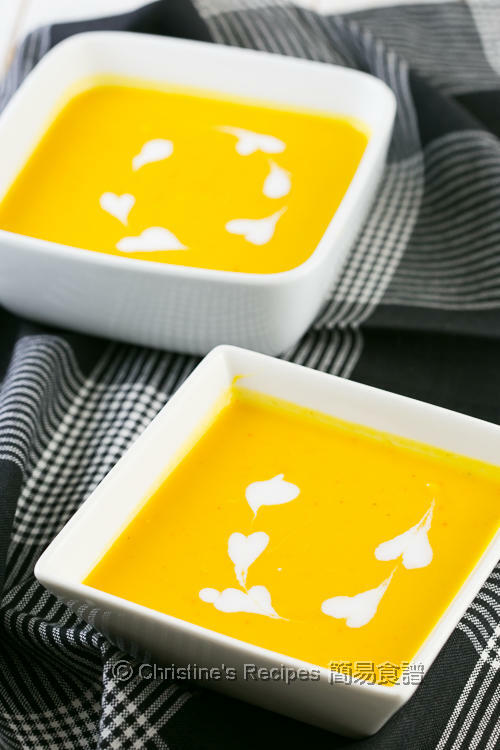 Both recipes are posted for those who want to give this delicious soup a try. Deseed and peel the pumpkin. Cut into 4-cm / 1½-inch pieces. Cut and discard the green part of lemongrass. Pound the remaining white part with the back of a cleaver or a rolling pin in order to help release the fragrance easily and quickly. Prepare Instant Pot. Press “saute” button. Heat oil and sauté garlic and onion. Add red curry paste and pumpkin. Cook until aromatic. Pour in the chicken stock and fish sauce. Add lemongrass. Close the lid, turning pressure release handle to “sealing” position. Press “soup” button, cook 15 minutes on high pressure. Carefully quick release. After the valve drops, open the lid. Discard the lemongrass. Use an immersion stick blender, process until the soup becomes smooth. Pour in the coconut milk. Press the “saute” button. Bring it to almost boil. Done. Season with salt and pepper if necessary. Serve hot or warm. 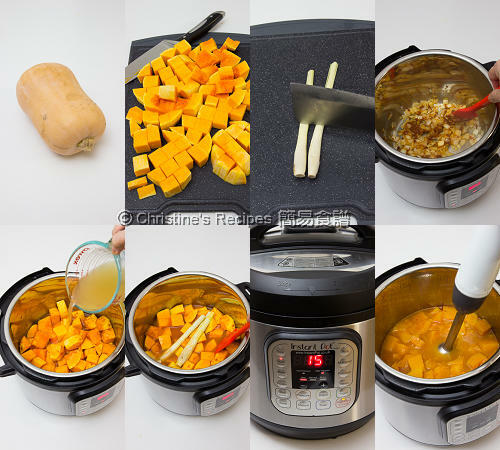 Use a heavy based pot, cook the pumpkin and all the ingredients for about 25 minutes, or until the pumpkin is softened. Discard the lemongrass. Remove from heat and let cool a bit. Blend the soup mixture with immersion stick blender until smooth. Add coconut milk and heat to almost boil. It’s done. The amount of red curry paste can be adjusted according to personal preference of heat. Lemongrass is available at Asian grocers. Either fresh of frozen ones will work for this recipe. So creamy and delicious! I must try the instant pot method next time.